No one knows how many different chicken breeds exist in the world, because no one keeps track. Wikipedia estimates hundreds. In her book The Behavioural Biology of Chickens, Professor C.J. Nichol of the University of London has counted more than 500 “fancy breeds” worldwide, described as ranging “from the sublime to the ridiculous.” These vague numbers represent estimates, not a definitive answer to the question: How many chicken breeds are there? We don’t even know how many distinct chicken breeds are in the United States. The American Poultry Association recognizes 53 large chicken breeds, plus additional bantam chicken breeds — some of which have large counterparts, while others do not. The American Bantam Association maintains a separate list of recognized bantam breeds which differs slightly from the APA’s list. While these two organizations have established themselves as arbiters of breed recognition, neither group recognizes many breeds in the United States that are well established in their countries of origin, or the even greater number of breeds that have not yet found their way to the United States. However, both organizations periodically update their lists of recognized breeds by adding chicken breeds that either have been newly developed, or are new to American chicken keepers. For example, the Ayam Cemani, originally from Indonesia, is not yet recognized by the APA, although an Ayam Cemani Breeders Association is working to develop a standard for the breed that will be acceptable to the APA. 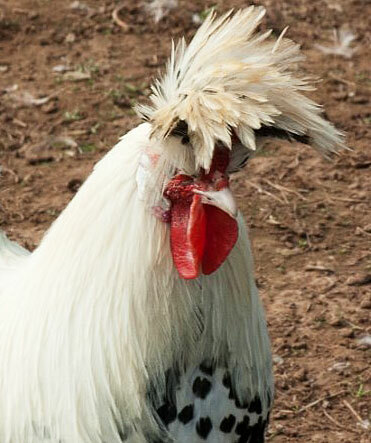 Another example of a breed not yet recognized by the APA is the Appenzeller Spitzhauben from Switzerland, which is championed by the Appenzeller Spitzhauben Club of America. Although it rarely happens, a breed may be removed from the APA’s Standard of Perfection if it falls out of favor and no longer exists in the United States in significant numbers. One of the first breeds dropped by the APA is the Russian Orloff, which was included in the first list of recognized breeds published by the APA in 1875, then dropped only 19 years later. That doesn’t mean the Orloff is no longer a breed, or even that it is no longer found in the United States. It just means the Orloff is no longer common in the United States. But it is still counted among the several hundred chicken breeds existing worldwide. ← Which Chicken Breeds Make the Best Broody Hens?